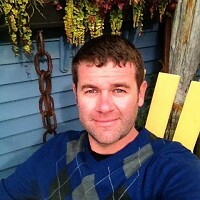 Fish in the Garden Maker Tyson Weiss got his start as a landscape designer. 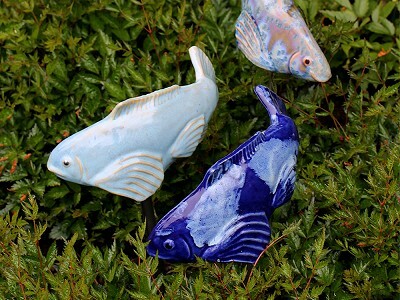 In his off time, he turned to his basement workshop in Maine and began crafting—what else?—ceramic koi fish. The fish come in a set of three and Tyson shapes them deliberately to give the impression of fluid movement. 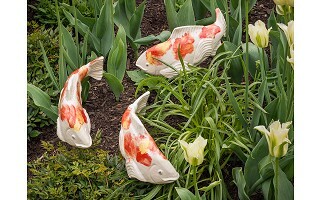 It’s an effect that works; at first glimpse you might think fish really are swimming through the garden. 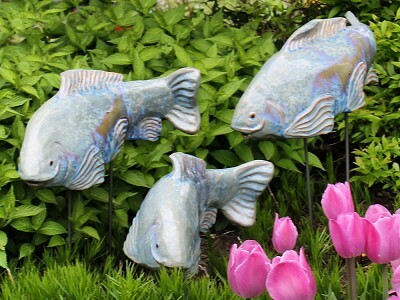 Tyson handcrafts the fish from high-fired stone clay, and they are secured into the ground with a steel rod. 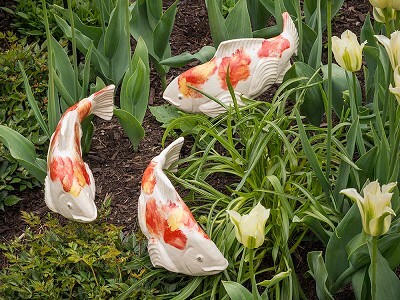 This durable combo means the fish can live in the yard year-round and add a dash of playful charm to green spaces even in winter. Can the sculptures be kept outside year-round? Yes. The ceramic can withstand hot and cold temperatures. Can I put the sculptures in water? 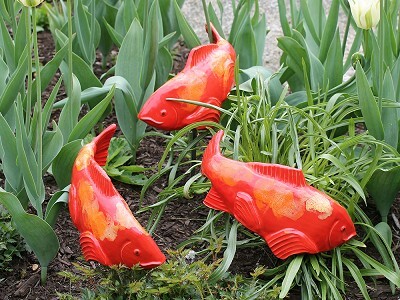 Yes, the sculptures can be placed in things like fountains or ponds.